Merthyr Tydfil CBC with partners Safer Merthyr Tydfil is planning a Football Tournament as part of White Ribbon Day, 25 November 2014 that promotes men ending violence against women. 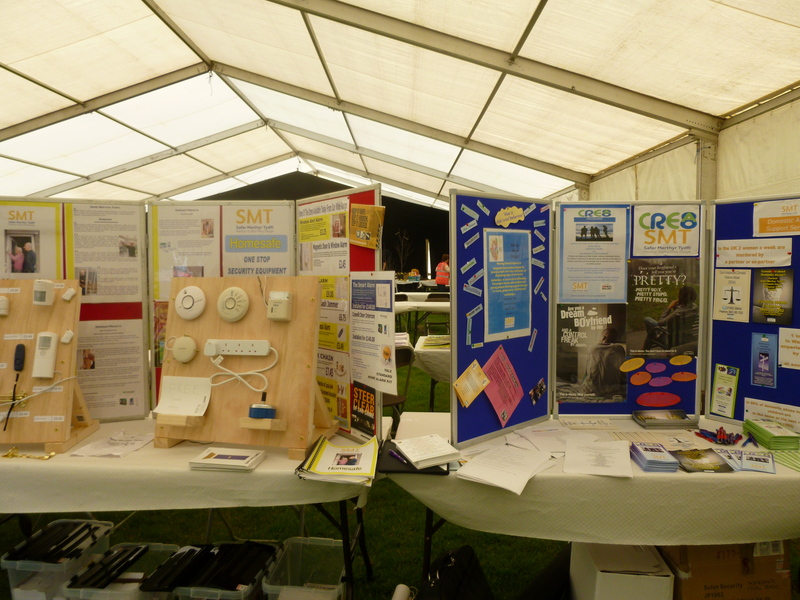 Safer Merthyr Tydfil attended the Merthyr Tydfil Global Village event at Cyfarthfa Park on 19th May 2013. 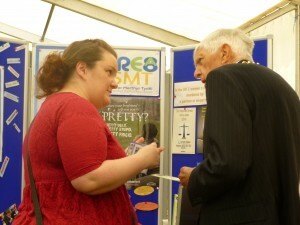 Thanks to all who took the time to visit us and have a chat. With funding via Families First, Think Family Domestic Violence project, Safer Merthyr Tydfil commissioned Loudmouth Theatre Group to deliver the Safe & Sound educational package to Year 9 pupils in Cyfarthfa High School. Safe & Sound is an educational package to help young people to spot the misuse of power and control in relationships and safeguard themselves against teenage partner abuse and is delivered via a whole year group performance together with interactive class sessions. Safer Merthyr Tydfil delivers a healthy relationships programme to comprehensive school pupils in Merthyr Tydfil and alternative education provisions. Over 150 young people have completed the programme to date.